Don't let unexpected rain or accident clean-up postpone your track event. 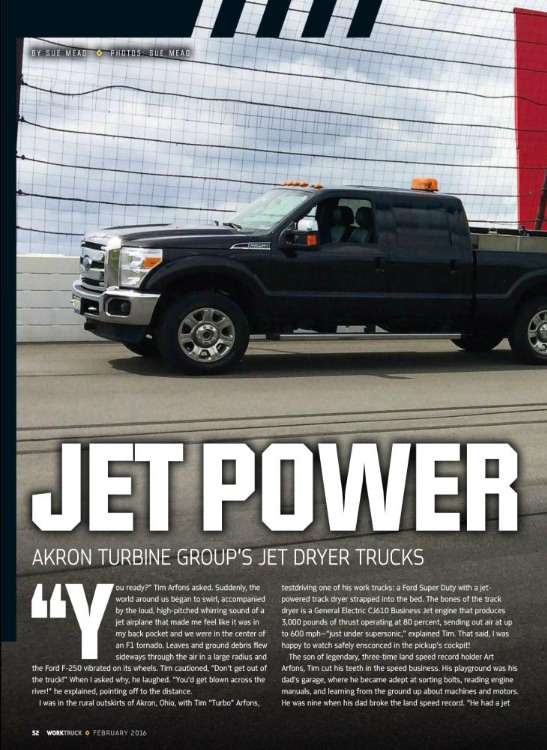 Jet-powered track dryers from The Akron Turbine Group remove wetness, moisture and debris on a track in minutes... getting a race going before you lose money, time or fans. The Akron Turbine Group's Turbo Heater / Dryer is the only heater / dryer designed exclusively for the asphalt and construction industries. Instead of waiting for surfaces to dry naturally, this unit can have you back to work in minutes or hours instead of days or weeks, even in tough weather situations. The Turbo Heater Dryer is a secret weapon race track operators have used for years - and now contractors around the world are using it to out distance the competition year-round.